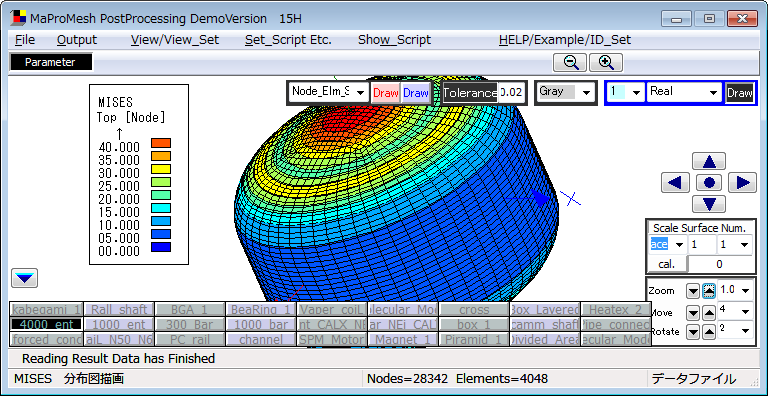 MaProMesh is the Parametric Modeler for construction of full automatic Finite Element Analisys system. MaProMesh has capability of making Best Parametric Finite Element Analisys system. Plane Plate is easy Example. It may be helpful for understanding of script. 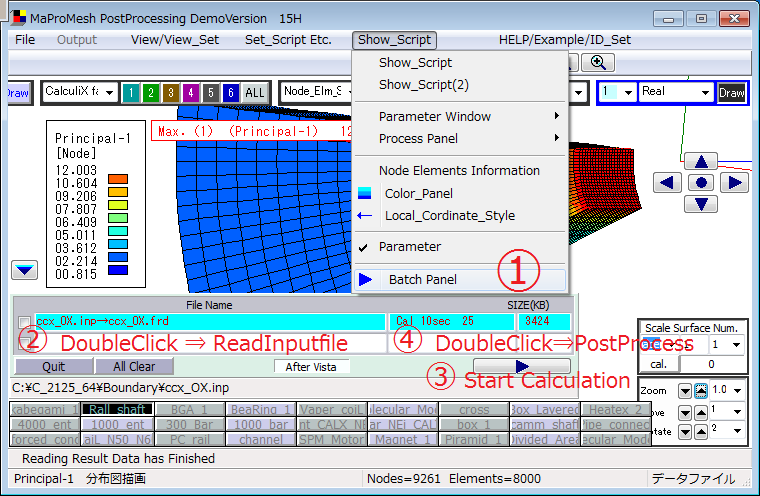 MaProMesh Do Good Peformance Especially with 64bit Windows's Native Executable Calculix. Web Site for getting Windows Executable Calculix are as follows. MaProMesh automatically adjust (Programfile (x86) installed )standard setting of bConverged Calculix. 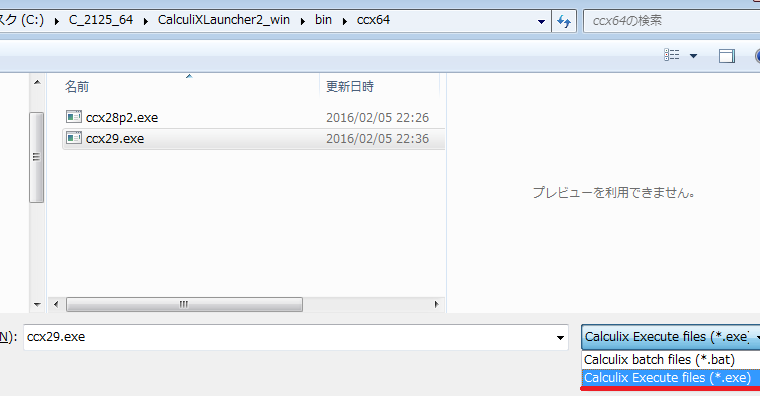 If user change to another type of calculix please doubleClick at redline and read the ccx.exe. 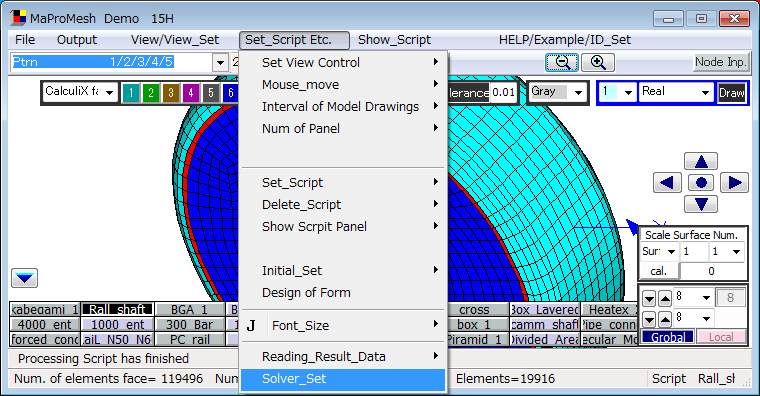 User can do FEA calculation using Scipt. Please Click Marked button and save data. User can use MaProMesh for Calculating Input File made by another aplications. Also Useful for Checking Mesh and Bounady Conditions.